A beautiful bank of antique pine watchmakers drawers. 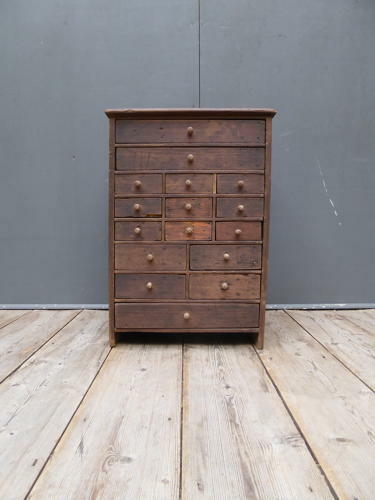 With sixteen drawers in a wonderful configuration & in solid pine throughout with small turned wooden handles. A fantastic piece with a great depth of colour & bags of character. Wear commensurate with age, good overall.